Golfers in Georgia rejoice! With its year-round temperate weather, tourists and locals alike can enjoy a wealth of well-maintained public golf courses. The best part? No memberships required. Lush green courses await. Here are our 10 favorites. Tucked away in the beautiful Blue Ridge Mountains, Sky Valley is one of the most picturesque golf courses in the state. Surrounded by natural landscapes, wooded areas, and babbling brooks, every hole is truly a work of art. The club remains open to the public year-round so you can enjoy a game whenever the mood strikes. As one of Atlanta's most popular golf courses, this award-winning course will easily become one of your favorites. They have customized every detail on this course, from scenic vistas to challenges that will help you hone your skills to a layout that will make every game feel like a vacation. Whether you're looking for a golf outing or just a relaxing spot for some me time, you'll find it here. This nine-hole golf course is one of the best values of the city. The course is well maintained year round, and is touted as the best place for young golfers to find their groove. They also offer educational programs for youth, as well as private and group lessons. 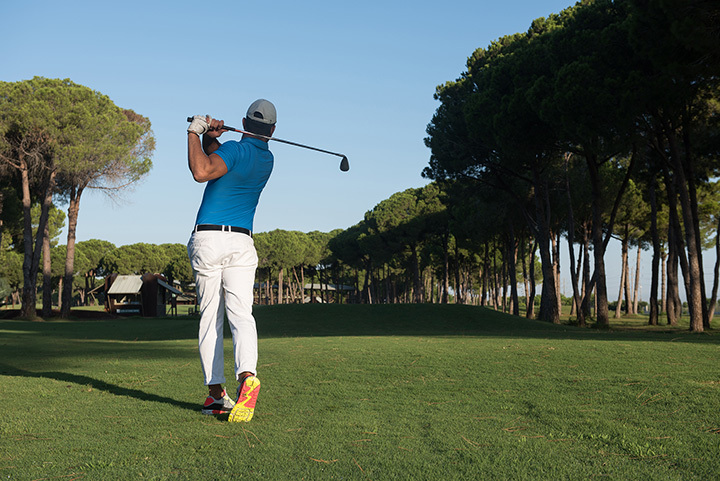 The secluded golf courses enjoyable for beginners and seasoned Pros alike. For being high up in the mountains, the course is surprisingly flat, but there are still plenty of hazards and challenges to keep you on your toes. The natural scenery really adds to the experience, and even the local wildlife have been known to stop here. It will be hard to choose between the three nine-hole courses found here coma and you'll want to return again and again to play them all. Disc golf destination is a favorite spot for tournaments, clinics, and all sorts of golf events. They also offer several programs for junior golfers to strengthen their passion for the game. UGA’s golf course isn't just for students and faculty. This award-winning course offers a Junior League, Women's league, Senior League, and other programs to help every golfer achieve their passions. They also offer a driving range and instructional services for golfers of all ages. It's hard to believe a beautiful golf course like this could be located just a stone's throw from downtown Atlanta. This nine-hole hidden gem is a favorite among locals and travelers alike. Because of its mix of Par 3s and Par 4s that are an ideal balance of challenging and fun. The course is also have them to a driving range and putting area. Leveraging the surrounding natural scenery, this course is a hotspot for golfers and wildlife alike, but it’s certainly no walk in the woods. There's something for every skill level at this scenic course. They also offer group and private golf lessons to get you up to par or better. The greens stay in great shape all year long, thanks to the area’s mild winters and impeccable upkeep. The tranquil setting makes it a favorite among golfers of all skill levels. It’s also one of the most affordable public courses in the area. Tucked inside the George T. Bagby State Park, you’ll be hard pressed to find a better value. This course attracts visitors from miles around with its low fees, well-maintained greens, and beautiful Southern views. Feel free to book a stay in one of the park’s lodges or cottages to extend your golf trip.